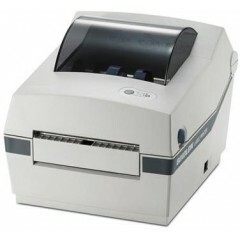 Bixolon Label Printer SLP-T400	The BIXOLON SLP-T400 is the most comprehensive, cost-effective model of industrial thermal transfer label printers in the marketplace today. 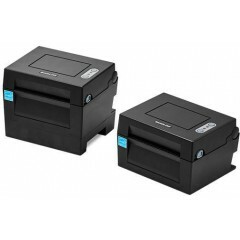 The SLP-T400 is an ideal for a wide array of mission critical bar code labeling requirements including 2D, such as Maxicode, PDF417, QR Code and Data Matrix applications. 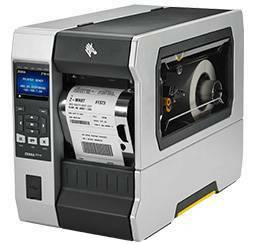 In fact, where intricate two-dimensional bar coding is required for compliance labeling, small parts tracking, or product identification, the label printer SLP-T400 has emerged as the printer of choice by large, multinational operations. 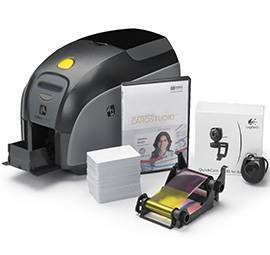 This easy to use, low maintenance printer SLP-T400 reduces training requirements and operating costs, and provides flexible solutions through a variety of options and accessories. 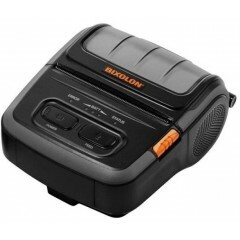 Bixolon BGT-100 tickets printer	The BGT ticket printer has the following features: User comfort, B-gate connectivity, high flexibility and mPOS scalability. 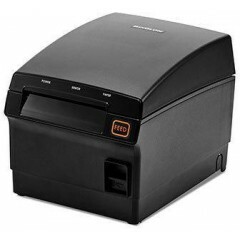 Bixolon SPP-R310 Receipt Printer	Samsung-Bixolon iOS Wi-Fi and Android compatible SPP-R310 mobile printer, the 3" SPP-R310 fully satisfies the anytime, anywhere demands of today's mobile commerce and is the perfect solution for any mobile receipt printing application that requires fast, on-demand printing. 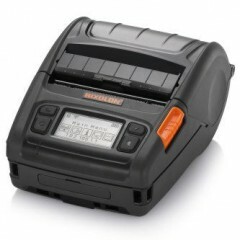 Compact, rugged and light weight, the SPP-R310 mobile receipt printer provides wireless capability via optional Bluetooth or Wireless LAN interfaces and its magnetic card reader allows transactions to be processed immediately. The SPP-R310 is especially suitable for outdoor usage, it is damage resistant to multiple drops of up to 6 feet and has water resistant capabilities IP42 and with the protective cover, IP54. 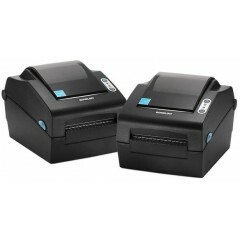 Bixolon SRP-F310II tickets printer	BIXOLON SRP-F310II ticket printer supports a print speed of 350 mm/sec, resolution of 180 dpi / 203 dpi, and is a water-resistant front-end printer that acquired the IPI2 Class. 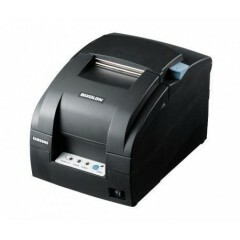 Bixolon SPP L3000	The SPP-L3000 series is a premium level Auto-ID printer supporting high quality connectivity and labelling. 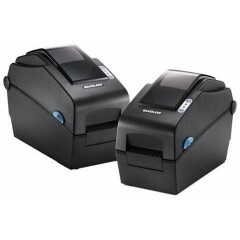 Ideal for a range of applications including supply chain labelling, retail tags, delivery invoicing and more due to its rugged & lightweight design with an easy-to-open peeler and LCD display. 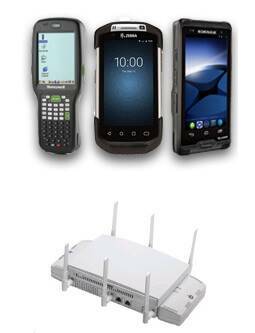 It provides premium-level performance, the SPP-L3000 delivers simultaneous wireless connectivity with both WLAN Dual band (5 GHz and 2.4 GHz) and Bluetooth V4.1 Classic. 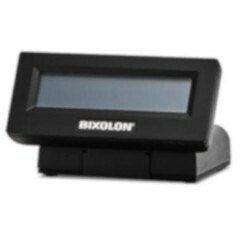 Supports use with all major including Android™, iOS™ and Windows® with the use of BIXOLON’s sophisticated SDKs (Software Development Kits) to provide continuous printing capabilities for Tablets, Smartphones or PDAs. 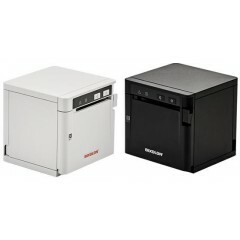 This printer is drop tested on concrete from 2.1m with an IP54 protection rating and low weight (694g). Supporting fast processing to provide print speeds up to 127mm/sec to generate 203dpi high quality, text graphics, barcodes and QR codes. While sustaining a media roll diameter up to 66mm and adjustable paper guide between 25~ 80 mm. The SPP-L3000 comes with a high-capacity, rechargeable 7.4 V Li-ion, 2,600 mAh battery capable of providing a 70 hour standby time once fully charged. 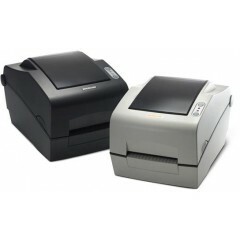 Bixolon SLP-DX420 Label Printer	4 inch direct thermal barcode label printer with print speeds up to 7 ips. 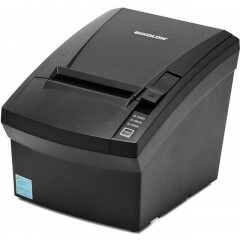 This printer can automatically detect media when it is placed in the printer. 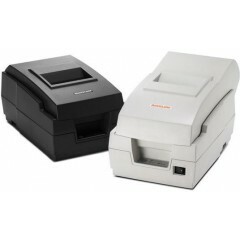 Bixolon POS Printer SRP-275II	The SRP-275II is optimized for high-speed so customer receipts allowing kitchen orders print faster and quieter than ever. More than 5.1 lines per second printing speed and an integrated graphics memory produce receipts in shortest time without delaying customers or guests. With an average performance of 18 million rows without failure, this printer gives you all reliability you need for long-term use and the auto-cutter for the SRP-275II is also guaranteed up to 1.5 million cuts with easy paper-jam removal. 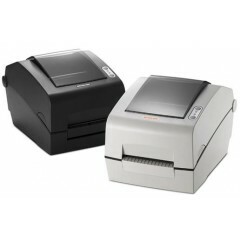 For maximum efficiency, the SRP-275II offers easy paper loading to easily change the paper with one-hand. 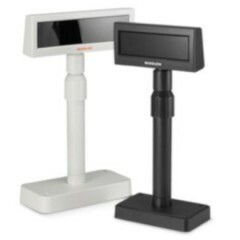 The customer oriented utilities enable the users to directly access logo download (NV Image Tool), code page selection (Virtual Memory Switch Manager), Firmware download and the other printer settings more easily and with no hardware changes. 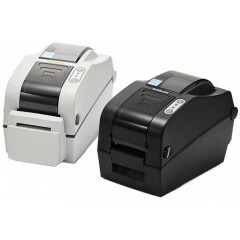 Bixolon SRP-770II Label Printer	BIXOLON SRP-770II is the first label printer developed with the technological power of Samsung, which has been proved in the POS printer market. 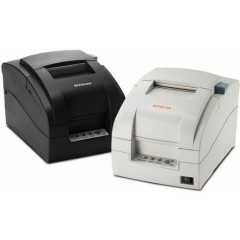 The SRP-770II can print 5ips(127mm/sec) and can recognize various programming languages such as SLCS, BPL-Z, BPL-E automatically, and also the width of the paper can be adjusted easily to the range of 1.5~4.2 inch so that it can be used for barcode printing as well as receipt printing. 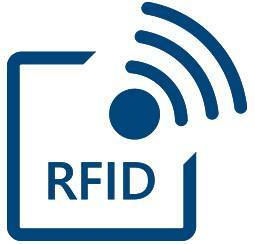 The various on-board interfaces including Serial, Parallel, and USB allow flexible system configuration. 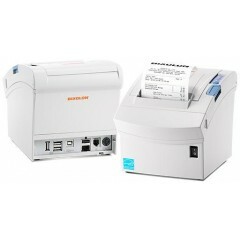 Bixolon SLP-TX400 Label Printer	The SLP-TX400 is BIXOLON’s NEW direct thermal/thermal transfer label printer for 4 inch wide printing. 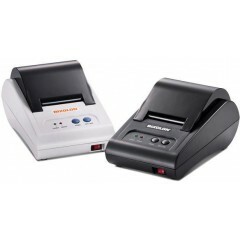 This high-quality label printer features fast print speed up to 178mm/sec(7ips) and high compatibility based on perfect emulation support. 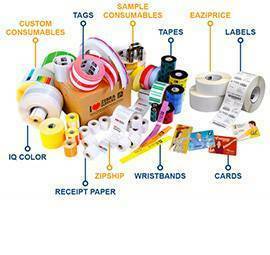 The SLP-TX400 label printer has Smart Media Detection function which automatically recognizes various types of labels when loading labels. 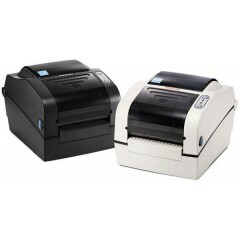 Bixolon POS Printer SRP-500	With this two color ink-jet receipt printer, your customers draw the end users attention onto the slip to turn this dull piece of paper into marketing. 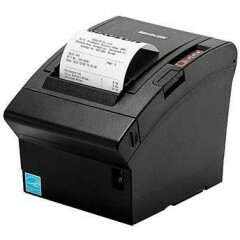 Receipts and vouchers receive vibrant color with any application using the BIXOLON SRP-500. 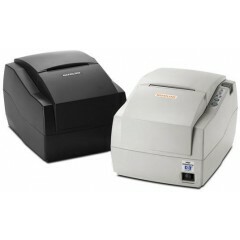 A low ink consumption results in lower ink cartridge expenses. 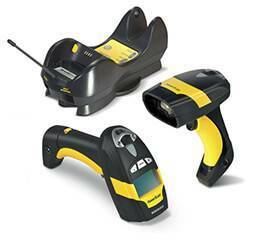 With the SRP-500 you have both, operating expenses and acquisition costs, always under your control. 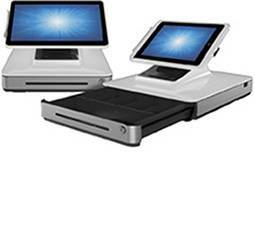 Wherever old dot-matrix printers have to be replaced for more advanced and quieter printers, this printer will meet your customer's needs. 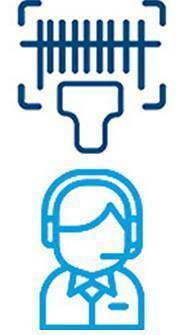 Logiscenter is een referentiepartner van Bixolon Nederland. Dit partnerschap met Bixolon stelt ons in staat u de beste prijzen, voorraden, leveringen en technische ondersteuning aan te bieden. Bixolon, tak van de wereld bekende Samsung, is een bedrijf gewijd aan de productie van professionele drukkers die het belangrijkste plein van de internationale markt van kleine industriële drukkers dankzij haar gespecialiseerde technologie en de hoge kwaliteit van haar producten bezetten.